IMPORTANT REMINDER : This Service Declaration Form needs to be completed and returned to us, along with all repairs. A safe work environment is important. 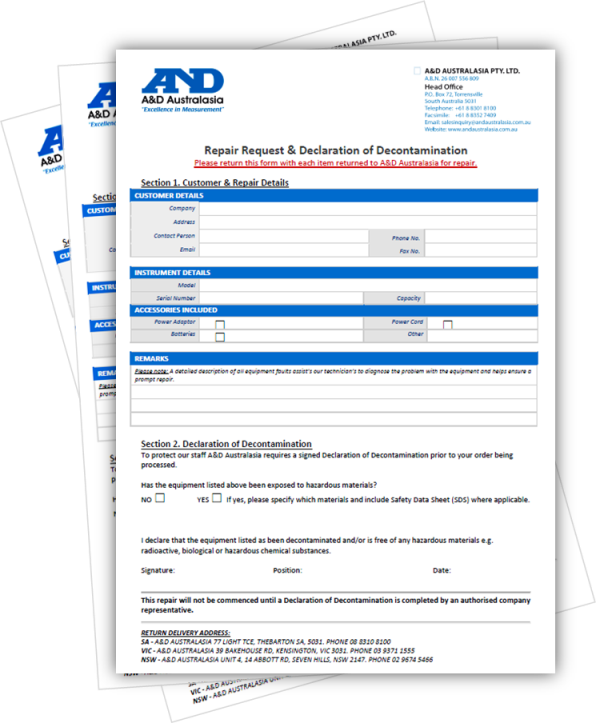 To ensure we are able to provide a healthy and safe workplace to our staff and visitors, we require the below form to be completed and any/all foreign materials to be listed in the decontamination part of this declaration form. This new procedure will enable us to access and service repairs in a timely manner, especially if there is an intermittent fault, and return the item back to you promptly. You can download this form by clicking on the image below.